Here is a photo of the framing that is ongoing for a new 18′ x 24′ L-shaped shed / garage in western Chesterfield Co.Due to limited stem walls we are using galvanized anchor bolts that are embedded in the footing and continue up through the block at the mounting the framing. 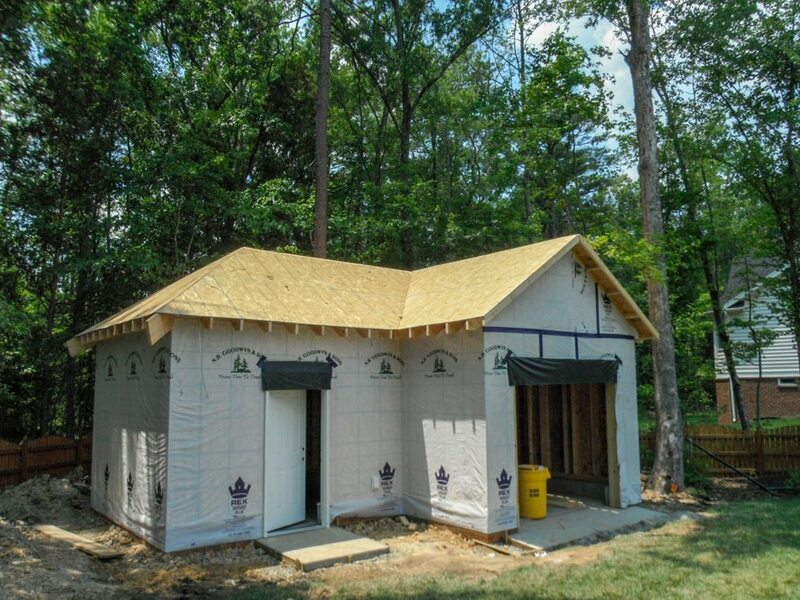 This project has a standard 8′ 6″ ceiling height and has a hip roof design to match the home. Sill plates are 2 x 10 pressure treated lumber with the wall framing is 2 x 4 spaced at 16″ on center. 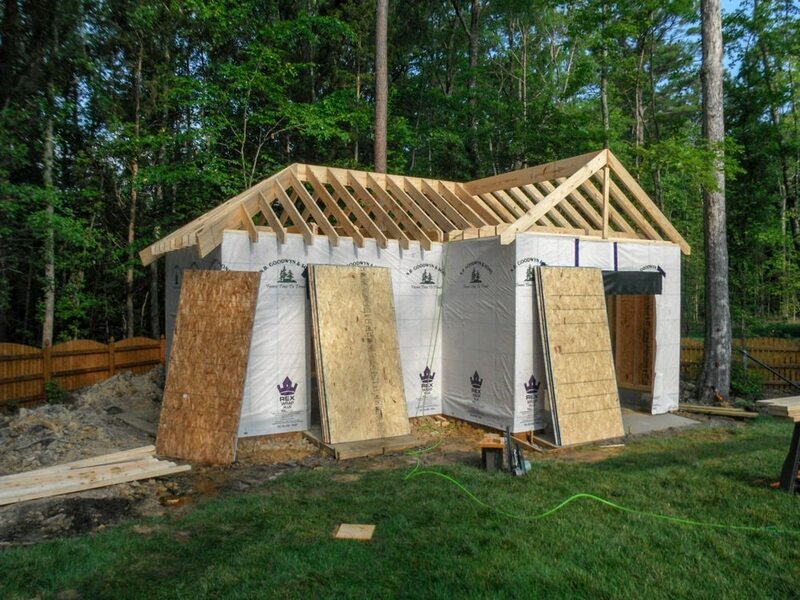 Rafters are 2 x 8 spaced at 16″ on center while hip and ridge boards are 2 x 12. The entire building is sheathed with OBS and covered with a vapor barrier and all doors are flashed with head flashing More framing will be posted soon so check back often. Visit our contact us on the website and we will be back to you as soon as possible. Also, visit our Garage Section of the website to see examples and our finished jobs. Click here to get a quote.